In 1967, at age 22, Barbara Brewster immigrated to Australia from America. In Down Under All Over she shares her lifelong love affair with the land and it’s people. Contrasting 1960’2 with 1980’s Australia, Barbara reveals a fascinating land. To see Oz through her eyes is to experience places, people, possibilities, life, anew. Down Under All Over is an adventurous woman’s journey of expansion, participation in, and reverence for The Land, and particularly its rural people. DUAO inspires readers to their adventure and to wider, richer ways of seeing and being. From Monkey Mia to Coober Pedy, from heroic farmers to meditating monks, from opal mines to parading penguins, readers of all ages will delight in the lyrical, perceptive descriptions of the place and people, and be captivated by an enthusiasm that is contagious. 43 black and white photographs highlight the text of each fascinating chapter in this 240 page book. A convenient glossary of Australian terms defines the unique, colorful vocabulary and phrases. 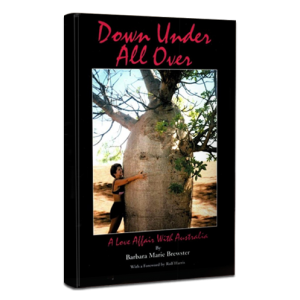 Down Under All Over shows a remarkable sense of love and perception for things Australian … My greatest dream is that through the love of the nature of Australia, people from all backgrounds, races and cultures will come together. Belief simply in the “SPIRIT OF THE LAND” is slowly but surely bringing the ancient aboriginal culture and the “NEW WORLD” together … Australia has the chance to shake off the shackles of antiquated outlooks and to emerge as the great land in the south, glowing with love and respect for all living things … Barbara Brewster is part of this process; passing the message on to the world. Barbara Brewster’s vignettes of Australia are marvelous! She is a spectacularly good writer! – Michael Paige, Editor (Ret), Rigby’s Publishers, Australia. Barbara Brewster writes about Australia with a lover’s indulgence and passion, tempered by a keen eye for the idiosyncratic nature of both the country and its inhabitants. If the stories that this American-born self-confessed Australiaphile relates convince some doubting Aussies that this land is indeed one of the best spots on earth to live, then she’ll be proved to be a fair dinkum beaut shiela, no worries. 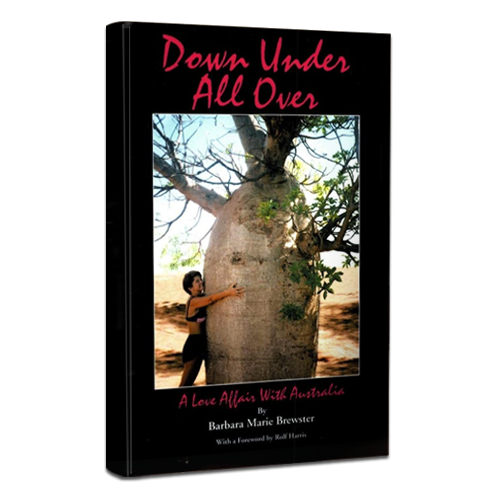 In Down Under All Over Barbara Brewster gives color and life to humanity and our planet. 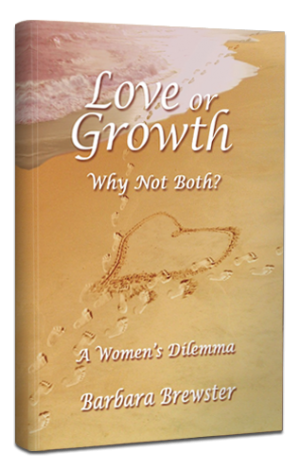 Her love for the planet comes mightily through this book. 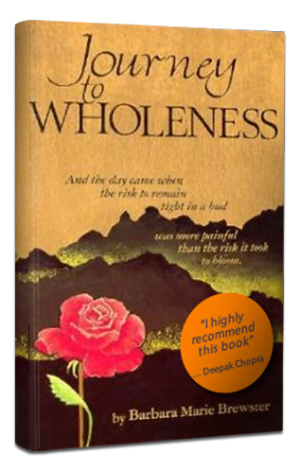 It is such a joy to find someone who has written about my home with such love, affection and understanding of its true values. In Down Under All Over, I feel, almost, as if Barbara Brewster is putting down my own innermost thoughts and feelings about the country I love. Obviously, she loves Australia too. The love comes through to such an extent that I found myself with eyes filled with tears that someone from another country had so clearly got the essential “gist” of what Australia is about, that she has managed to grab the fundamental spirit of the place, to write about it with such ease, and … anyway … what can I say? I love it! … Barbara Brewster should be declared an honorary Australian! Great stuff!! Goodonyer Barbara! Loved your book. She’s a little beauty. Down Under All Over has set my soul singing in a way I really cannot express but by crying! I read a bit and set it aside because I am so filled with the love of those people and the country that I could not express in the way Barbara Brewster has. The most authentic book about Australia I’ve ever read. Down Under All Over shows how an individual can become a participant in the heartbeat of a country, and how, when one brings an attitude of curiosity, openness, flexibility and contribution, the doors can open upon rich and wondrous adventures. Reading this charming book is as enjoyable as a trip to Australia. The descriptions are so vividly painted that I felt as if I were right there seeing the land, hearing its sounds and smelling the air. 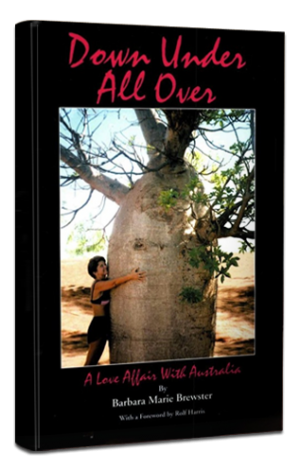 Down Under All Over is more than a travelogue. It is a very personal journey–one which entices us to follow along in Barbara Brewster’s footsteps through that fascinating land of Australia. Her account of her adventures invites one to crawl under the skin of the land and to know its colloquialisms and people. Brewster’s enthusiasm for the place is contagious. As a travel agent, I’ve been sending people to Australia for years. Now, for the first time, I’m inspired to want to go there myself. I want to give copies of Down Under All Over to all my Australian-bound clients. Never in my wildest imagination did I have the slightest hint of an interest in Australia. Now that I’ve read Down Under All Over, I want to go there. WOW! YIPPEE! AND MORE!!! Down Under All Over is great! As my son says, “It’s written JUST as things were and not added to to make it sound “good.” It’s more than “GOOD” — it’s REAL.